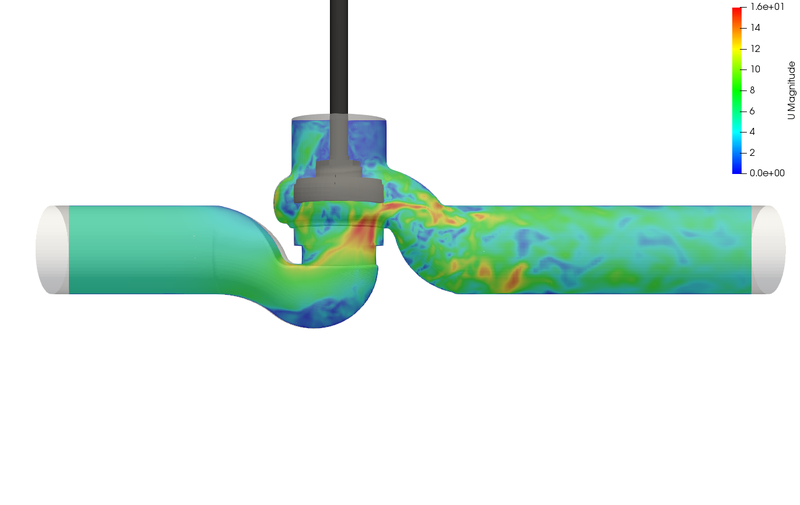 As being my main expertise, I am doing CFD consulting and analysis services for companies and individuals having a fluid dynamics related problem. My expertise ranges from automotive applications to aerospace, turbomachinery and industrial problems to name a few. In case of a CFD consulting I will thrive to effectively but quickly solve your fluid dynamics related problem after thorough definition of your goals. As an independent CFD consultancy, I can offer much more flexible pricing models for my services, making it more cost-effective for you than bigger consulting companies do. My 9 years of international industrial and academy experience benefits our cooperation. To see more applications from various industries, please visit the CFD Industries page. 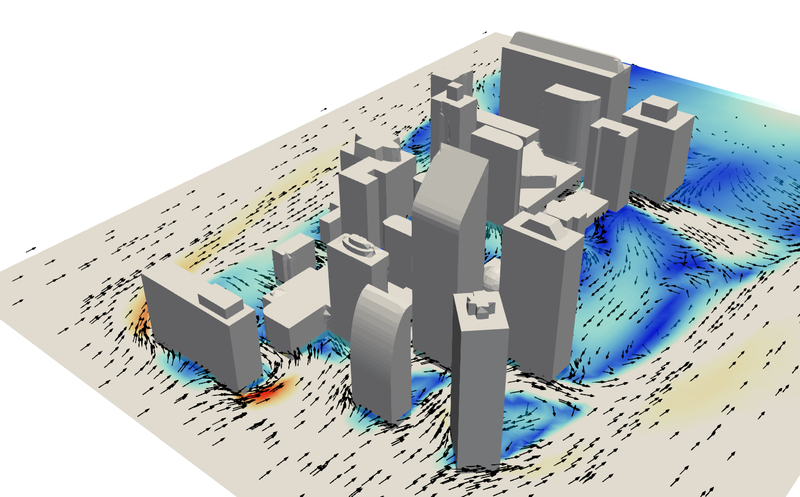 What is a CFD simulation? CFD stands for Computational Fluid Dynamics. 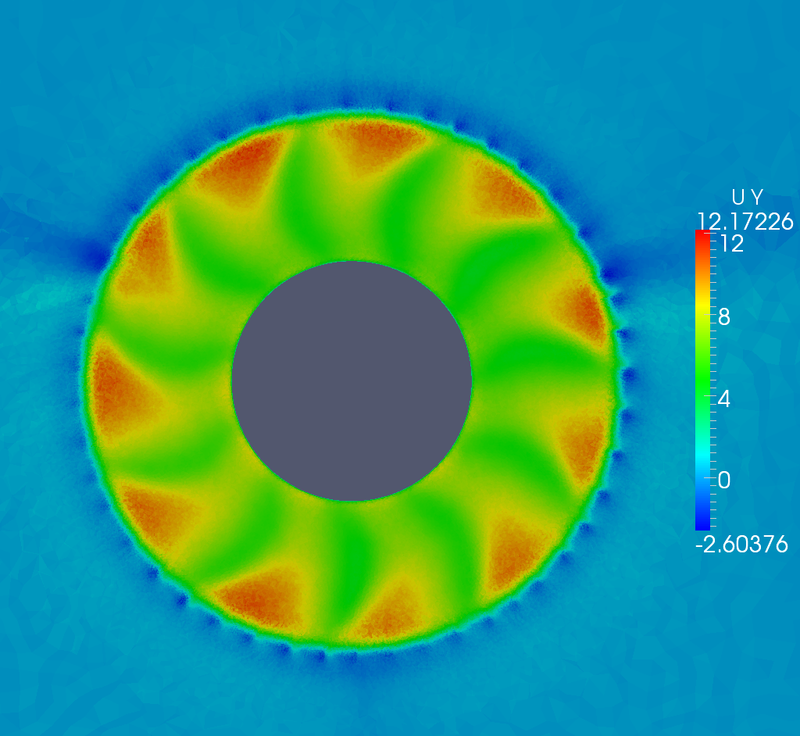 It is a branch of fluid mechanics that uses numerical (digital) analysis to analyze problems that involve fluid flows. High speed computers and validated software are used to calculate the main parameters of any flow field, including pressure loss, flow speed, temperature, turbulence and acoustics. 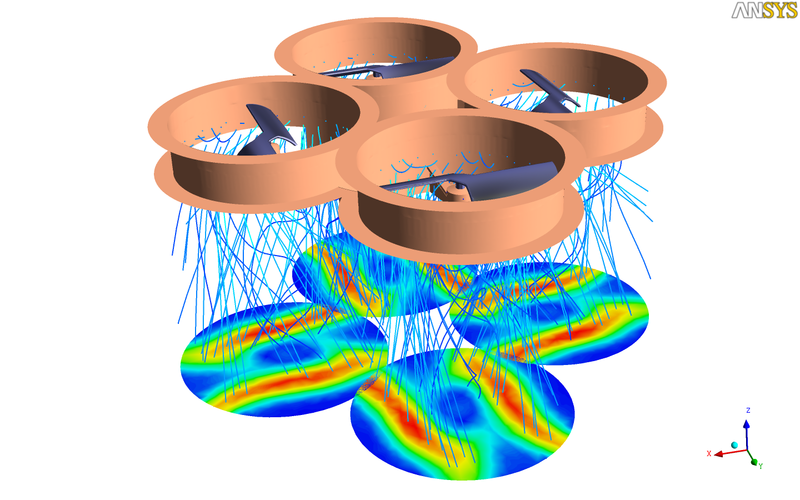 The CFD simulation needs to be built up and launched by and expert in fluid dynamics. At CFD Freelancing we have this expertise, starting from model CAD geometry preparation, discretization, simulation and post-processing. 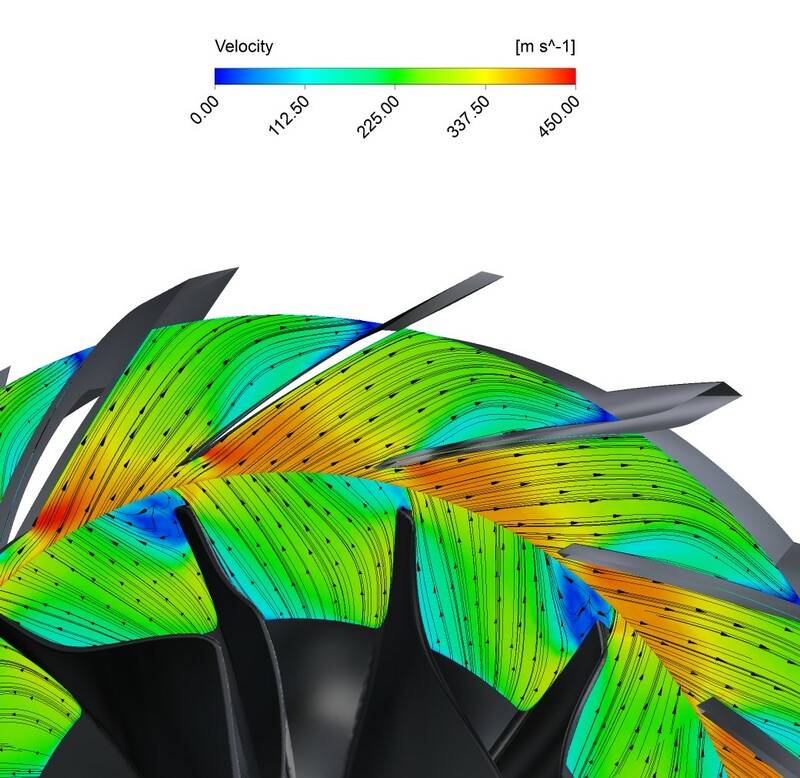 The results of the numerical flow analysis needs to be analyzed in-depth, and communicated to the customer with clarity – all we are delivering to our customers. 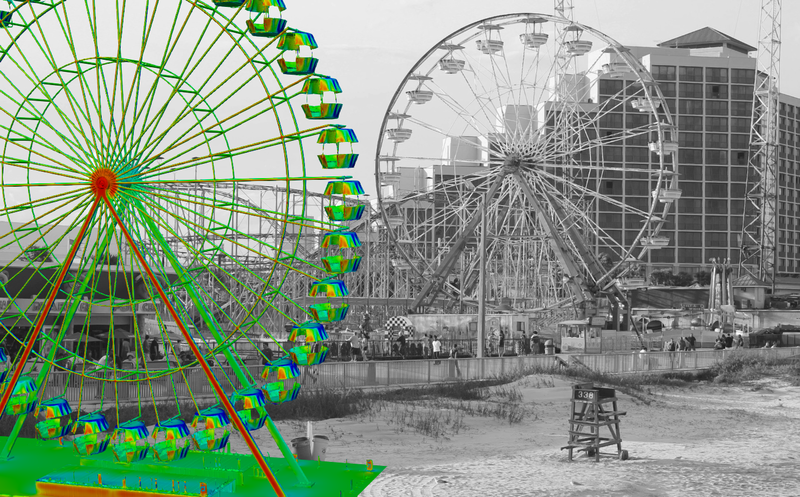 The workflow of a successful CFD simulation project starts at understanding all the aspects and requirements of the customer. In order to deliver the highest quality results in the shortest time possible, the projects starts with scheduled meeting either on-site or off-site. If all the requirements are clarified, the virtual prototype of the parts needs to be set up. This usually starts with receiving the geometry from the customer, but based on design sketches we can also create the CAD model. At the end of this step, all unnecessary parts will be removed, parts are united and prepared for the next step. In order to execute the mathematical solver on the flow field, the flow domain has to get discretized or meshed, that is, divided into small volumes. Our expertise in this process reaches back to 2009 making the meshing step high quality and fast. 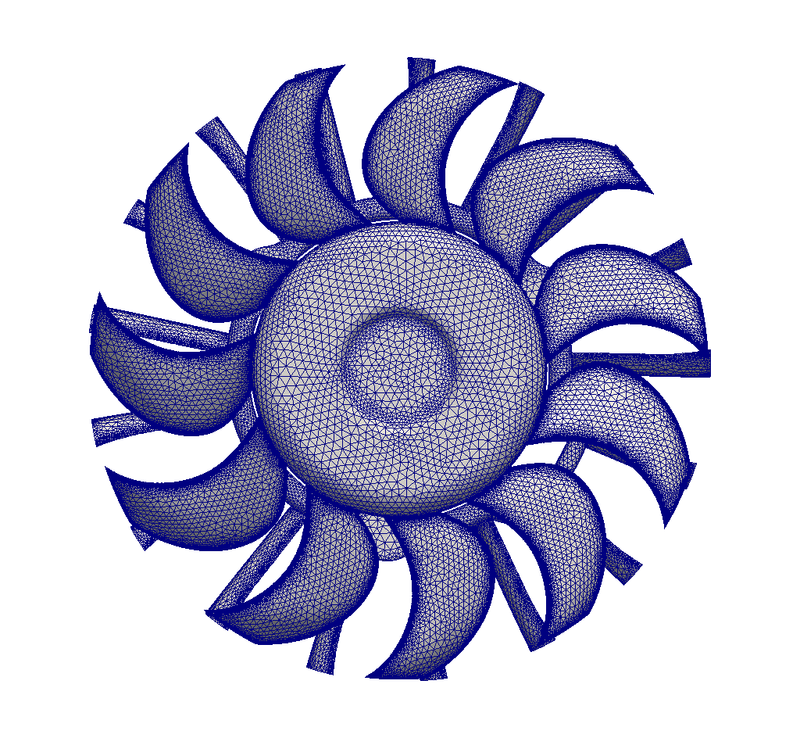 After all the geometry is prepared, the computer takes over the work and calculates the necessary fluid flow parameters everywhere in the volume. 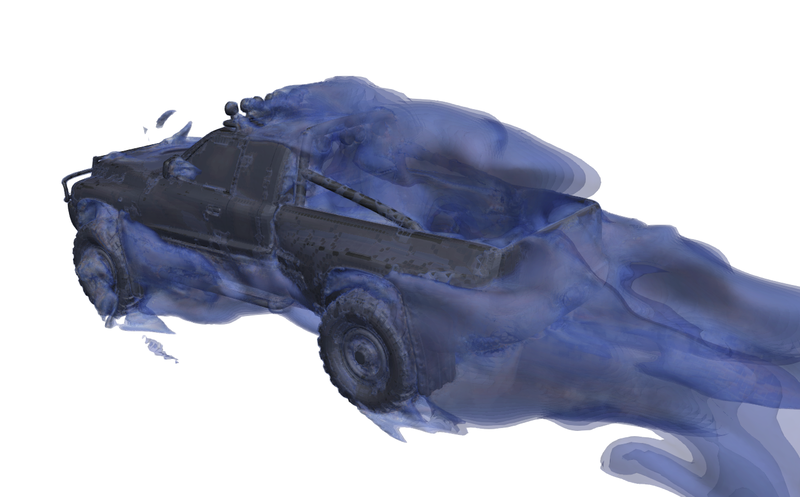 This Computational Fluid Dynamics simulation usually takes from some hours up to several days. All depends on the complexity and size of the problem. 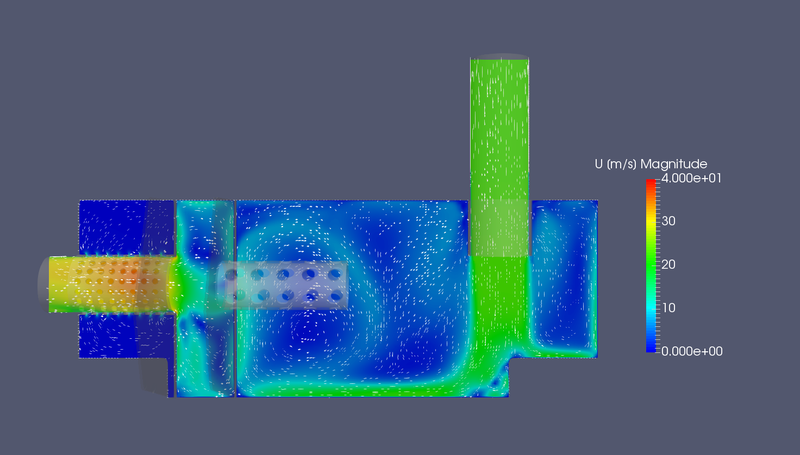 When the simulation is ready the CFD engineer needs to analyse the results. In the first step an automatic analysis is executed, giving the engineer a quick look into the flow field and an opportunity to identify the possible issues and improvements possibilities. Then the CFD expert looks for causes of the problem and works out solutions and development recommendations. Finally, I will present the results in a qualitative and quantitative form. 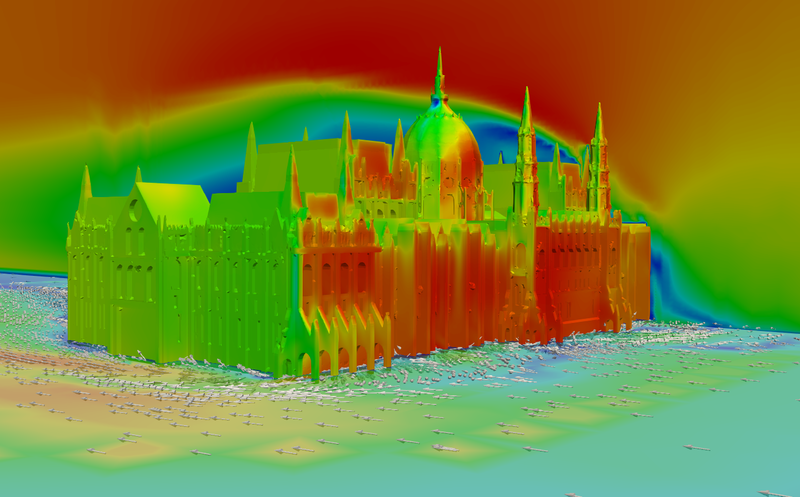 To learn more about our CFD simulation services, please contact us! Every product design problem needs careful approach and thorough planning before executing the simulations. Therefore an in-depth communication of the goals, definition and identification of the exact problem as well as setting improvement directions are key to a successful design loop. 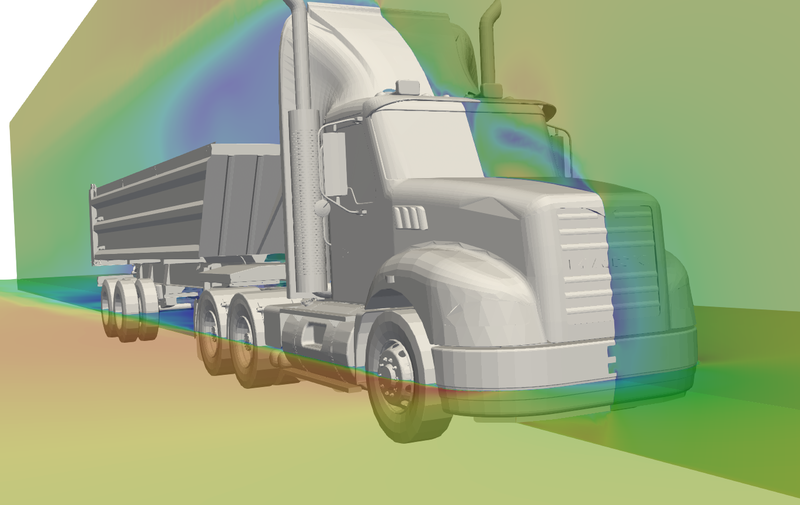 CFD Simulations can help you shorten the way to a better performing, more competitive products. Several phenomena can not be measured in wind tunnels or in the lab. It would be either too time consuming, expensive (prototypes, labor costs, equipment), or limited to a certain set of experiments. In case of numerical simulations there is no design scenario limit. Costs are very controllable, there is no need for laboratory or expensive equipment. 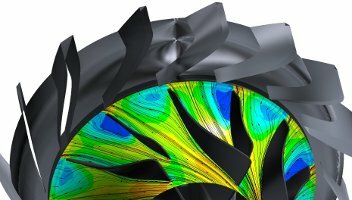 But the main strength of a digital simulation is that it allows the engineer to have an in-depth look into the flow field. Therefore, identification of problems can be done on the computer screen, faster and more efficient than anything else. 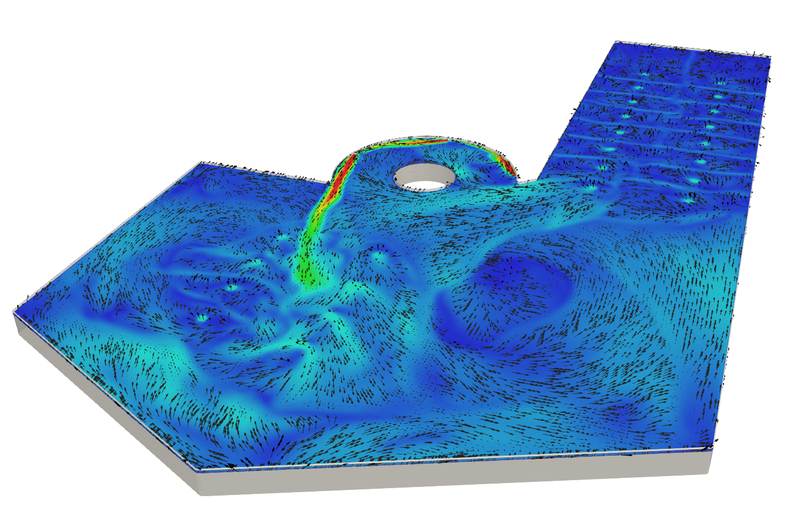 If you think that a computational fluid dynamics simulation can help you with your product development, Contact me for more information! I am more than happy to talk to you! Do you prefer contacting me via social media? Here is my LinkedIn account. Attila was great to work with and provide great results to the project. 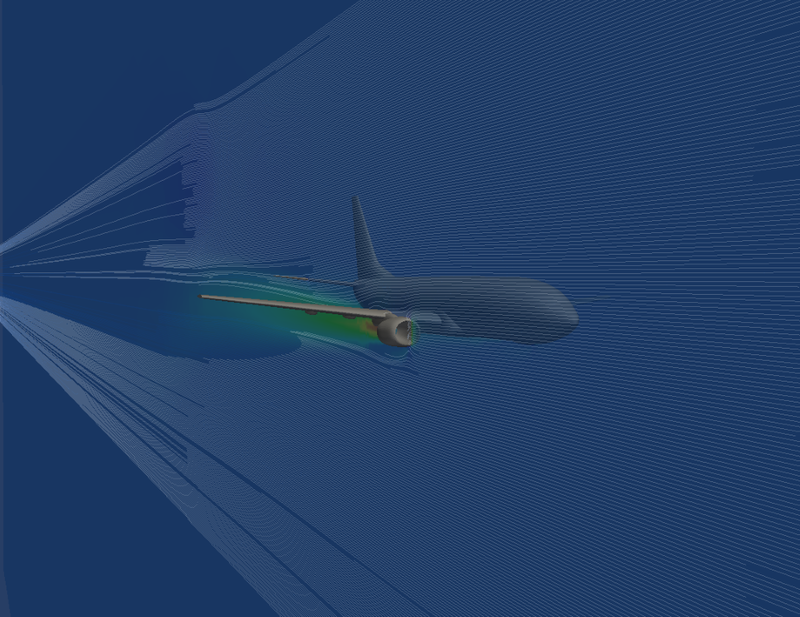 Finally got around to looking at your latest CFD study and it looks amazing!! We're all very happy with the results.